The joy of watching movies along with family and friends on a holiday can never be matched. On this Vinayaka Chathurthi, which falls on the 9th of September, leading television channels have planned to treat their audiences with a few exciting Vijay films. 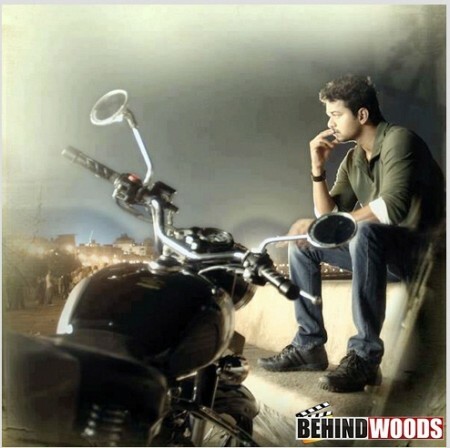 Vijay TV has planned to show AR Murugadoss’ blockbuster film, Thuppakki. Whereas Sun TV and Kalaingnar TV will broadcast Siddique’s Kaavalan starring Vijay and Asin and Dharani’s Kuruvi starring Trisha respectively. Jaya TV on the other hand will show Velayudham, directed by Jayam Raja. So, sit tight and enjoy the Ilayathalapathy Vijay special day! Is Vijay's Thalaivaa a Hit in Kerala? This page hosts a weekly slideshow related to Tamil movies. Each slide includes a picture and some description about that picture. All the slides will have a recurring theme. People looking for actress stills, actress images, actor stills, actor images, movie stills, movie images, and other interesting topics, relevant issues in Tamil cinema will find this page useful. Vijay | Big releases, Big announcements - Top 10 News.